Maurizio Sarri is reportedly facing further scrutiny from the Blues hierarchy over his handling of winger Callum Hudson-Odoi. The west Londoners 6-0 hammering at Manchester City has increased the pressure on Blues boss Sarri. And there is added doubt and unhappiness from above that the Italian coach’s treatment of teenage sensation Hudson-Odoi doesn’t tally with the message from the management. 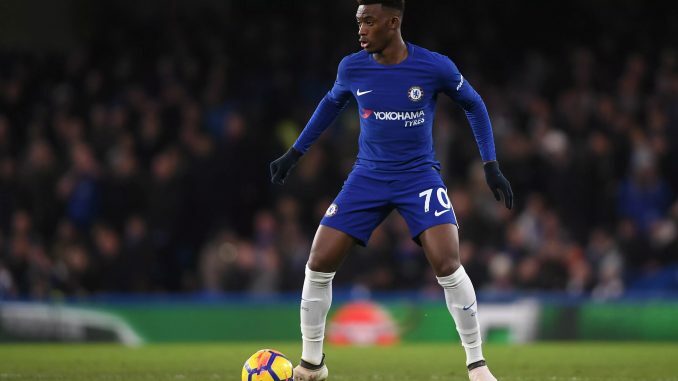 Chelsea snubbed Hudson-Odoi’s transfer request the previous month in the hope Maurizio would give him enough playing time to convince the star to stay long term, with his current deal up in 2020. Amid serious interest from Bayern Munich in the player, the Blues’s board launched a charm offensive in January – both playing Callum more and Sarri and his assistant Gianfranco Zola among those praising the Englishman – in an attempt to persuade him his long-term future lay at Stamford Bridge. But his playing time has dried up since the Blues chiefs dug their heels in and told die Roten, who bid four times in January, once and for all that he would not be leaving last month. Callum was left out of the roster for the 4-0 defeat at Bournemouth, played only the last 13 minutes of the 5-0 victory over Huddersfield as a late sub and was omitted from Maurizio’s squad again for Sunday’s humiliation at The Etihad. Callum was sick at the start of the previous week, as Sarri reported ahead of the Citizens trip, but the forward trained for the rest of the week. Sarri then took Callum to Manchester but he failed to make the 18-man squad and was forced to witness the Manchester City defeat from the stands.